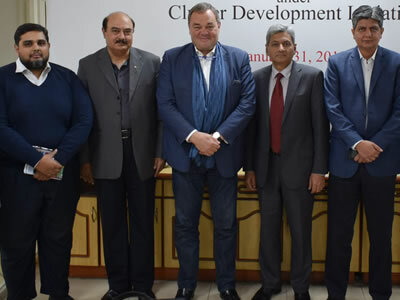 Mr. Truls Thorstensen, UNIDO Int'l Expert visited Lahore from 18 - 22 February, 2019 to discuss the way forward for devising a workable business plan for operationalization of Auto Parts Support Centre (APSC). 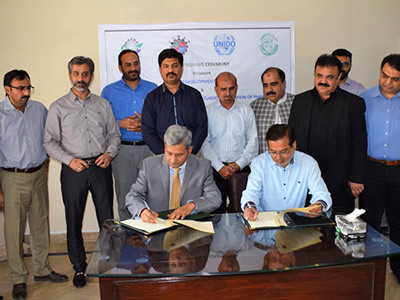 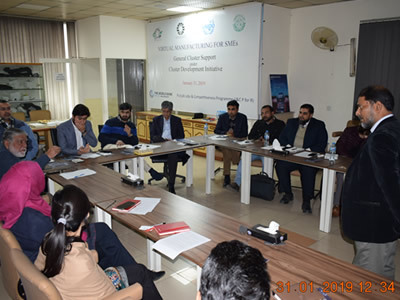 Awareness session organized in collaboration with PAAPAM to disseminate awareness among the industry stakeholders regarding production and manufacturing techniques by using Virtual Manufacturing in Auto Parts Cluster, Lahore. 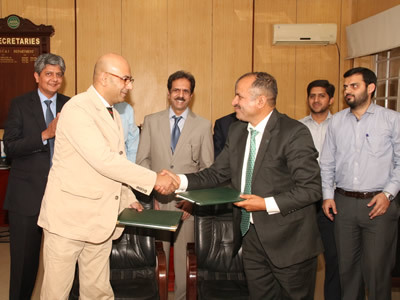 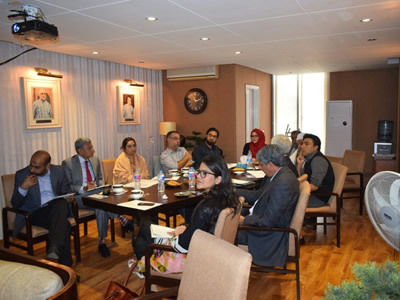 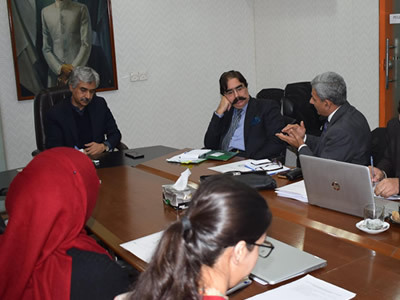 Meeting of CDI Team with Mian Muhammad Aslam Iqbal, Minister for Industries, Commerce and Investment Department (ICID), and Mr. Riaz Hameed Chaudry, Managing Director of PSIC, on February 13, 2019 to review the CDI Project. 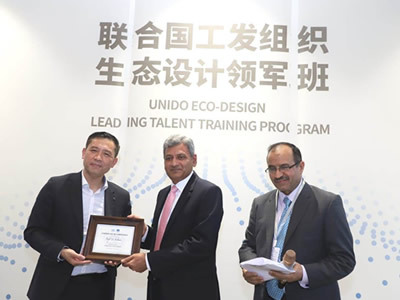 Project Director, CDI attended Eco-Design Leading Talent Training Program and 1st World Eco-Design Conference organized by UNIDO and China Industrial Design Association (CIDA) from 12-18 December, 2018. 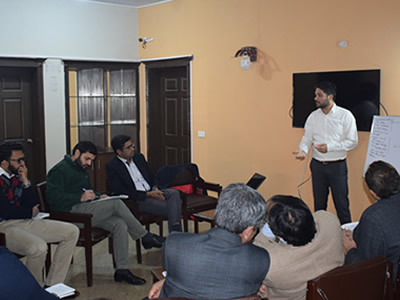 The training provided an opportunity of potential partnership of CIDA with CDI in areas of Cluster Development and Establishment of Design Studio. 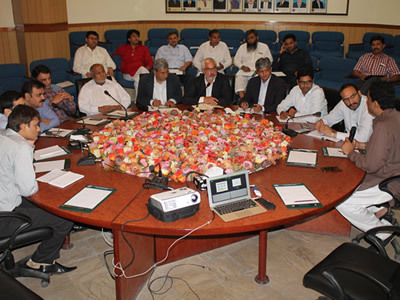 A meeting was held with Ch. 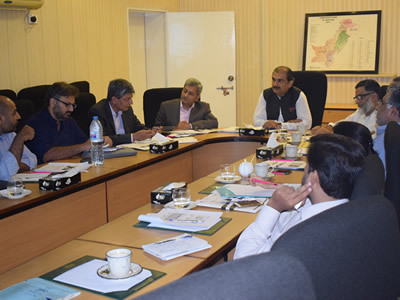 Muhammad Akhlaq, Minister for Special Education, Punjab, to apprise on CDI activities related to Surgical Cluster, Sialkot. 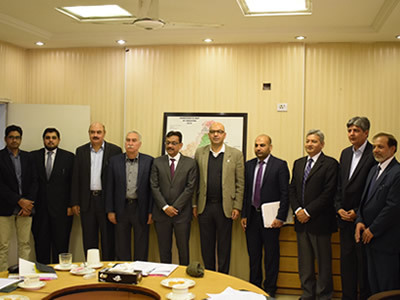 Meeting of CDI Team with the Minister, Industries, Commerce and Investment Department (ICID), Mian Muhammad Aslam Iqbal and Managing Director of PSIC, Mr. Riaz Hameed Chaudry, on January 16, 2019, to brief him about the CDI project and its ongoing activities. 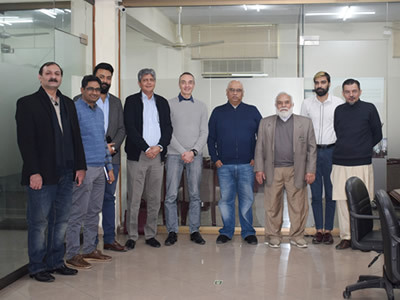 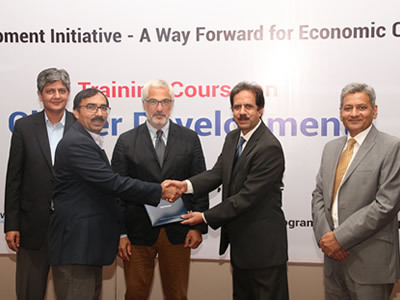 Mr. Thomas Micheal Jochen, an international expert from MODINT visited Lahore from 10th – 15th December 2018 to kick off first CRI - Establishment of Design Studio in RMG cluster. 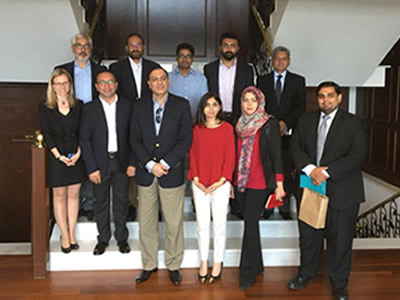 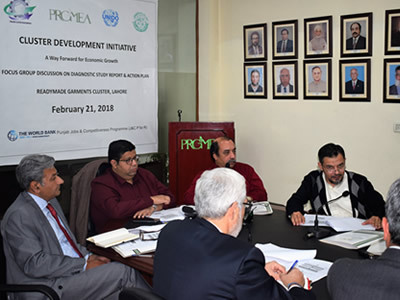 The international expert together with the technical staff of UNIDO and the CDI team carried out discussions/meetings with the executive members of PRGMEA, readymade garments manufacturers and other key stakeholders of the value chain. 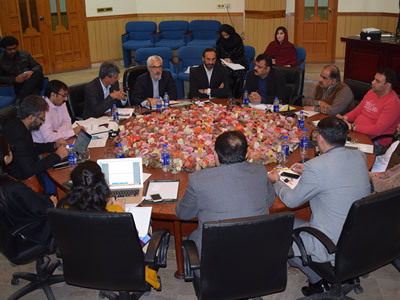 The purpose of the mission was to understand the need for the creation of design studio and to gather information regarding its service portfolio in order to develop a sustainable business and management model. 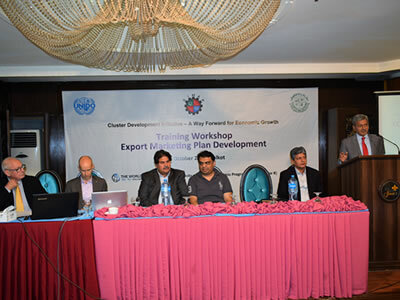 The second mission of UNIDO int’l experts started with a Training Workshop on Export Marketing Plan Development conducted under the CDI project, “Market Driven Development of Surgical Cluster Sialkot” on 2-5 October, 2018. 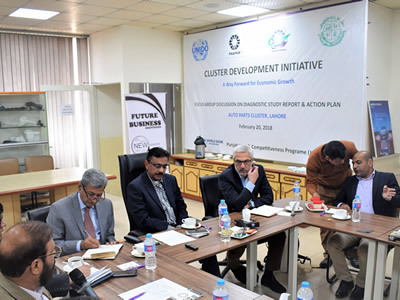 Mr. Fazal ur Rehman, PD, CDI along with his team visited Shahid Javed Burki Institute of Public Policy at NetSol (BIPP) to enlighten the BIPP team on cluster development and its role in uplifting the SMEs. 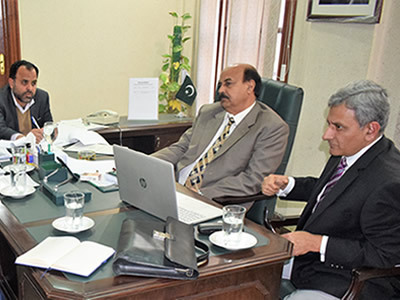 Meeting of Mr. Tahir Khurshid PAS, Managing Director, Punjab Small Industries Corporation. 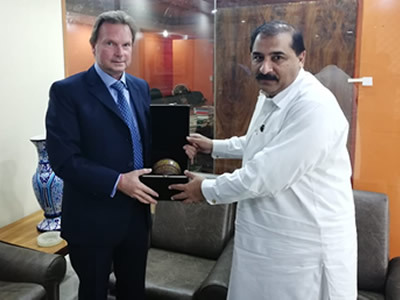 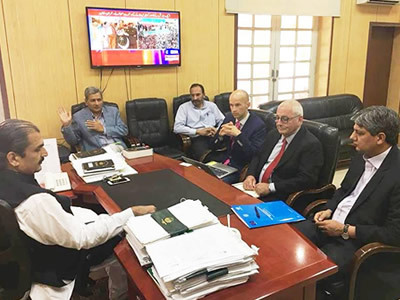 Meeting of Mr. Tahir Khurshid PAS, Managing Director, Punjab Small Industries Corporation and Mr. Steffen Kaeser, Lead Project Manager, UNIDO on September 26, 2018. 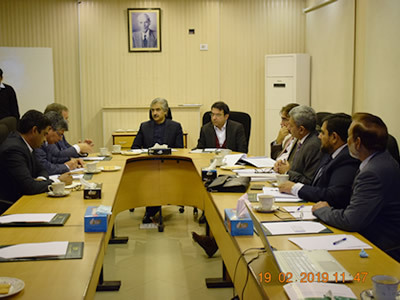 A meeting was held on August 31, 2018 in the Committee Room of Industries, Commerce & Investment Department for consideration of the pilot project “Establishment of Design Center” in Leather Footwear & Products cluster. 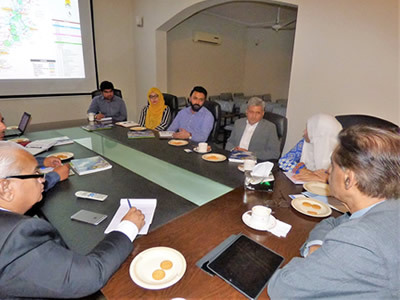 Mr. Fazal ur Rehman, PD, CDI and UNIDO Local and Int’l Experts meeting with Secretary, Industries, Commerce & Investment Department, Syed Javaid Iqbal Bokhari on July 6, 2018 regarding implementation of “Market driven development of surgical cluster Sialkot” intervention under CDI project. 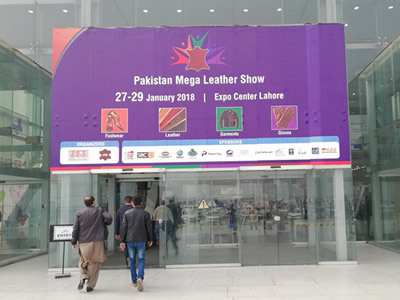 Leather Footwear and Products cluster participated in Leather Mega Show 2018. 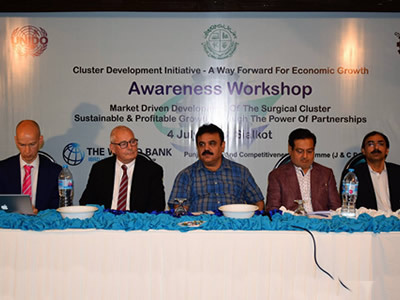 Cluster Action Planning and Finalization of Diagnostic Study Reports by International Experts. 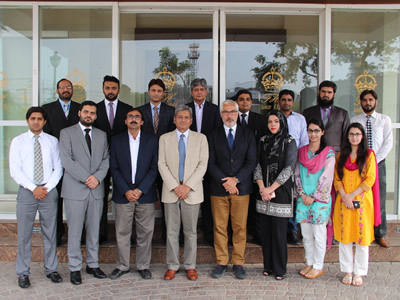 Approval of the Auto Parts CRI "Operationalization of Auto Parts Support Centre (APSC)"
Implementation of first pilot project “Market Driven Development of Surgical Sector/Cluster” to kick off from July 2, 2018. 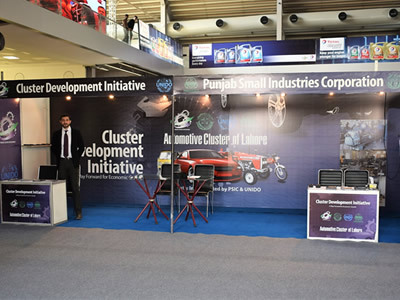 Participation of Auto Parts Cluster in Pakistan Auto Show 2018 on 2nd, 3rd and 4th March, 2018. 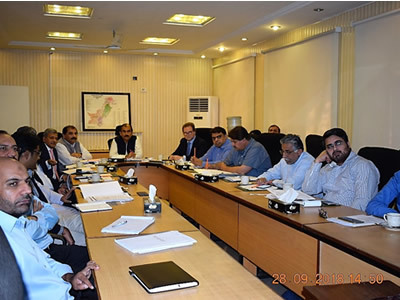 Auto Parts CRI "Operationalization of Auto Parts Support Centre (APSC) " approved by the cluster selection committee on January 30, 2018. 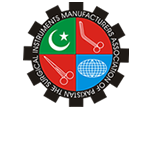 Readymade Garments CRI " Establishment of a Design Studio" approved by the cluster selection committee on January 20, 2018. 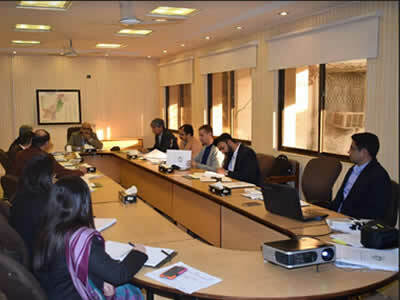 Formulation of Steering Committee headed by Managing Director, Punjab Small Industries Corporation to review the progress of the Cluster Development Initiative on January 16, 2018. 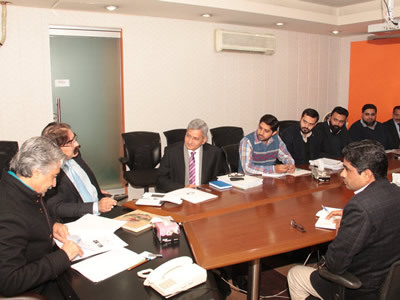 Formulation of Project Steering Committee headed by Secretary Industries, Commerce & Investment Department to monitor the overall CDI activities on January 16, 2018.
International Experts consultative sessions with the CDI team to finalize Diagnostic Study Reports on Auto Parts, Readymade Garments, Surgical and Leather cluster from December 4, 2017 till December 13, 2017.